When asked which local benefits local people would most like to see as a result of wildlife presence, healthcare was a top priority alongside education and veterinary medicines. This is unsurprising, as diseases such as tuberculosis, HIV, malaria, cholera and many others are very common in the project area, and there is little or no access to high-quality healthcare for most people. While rural village clinics exist, they are often very poorly provisioned, lacking the most basic equipment such as beds for patients, burn kits, first aid equipment or commonly-needed medicines. 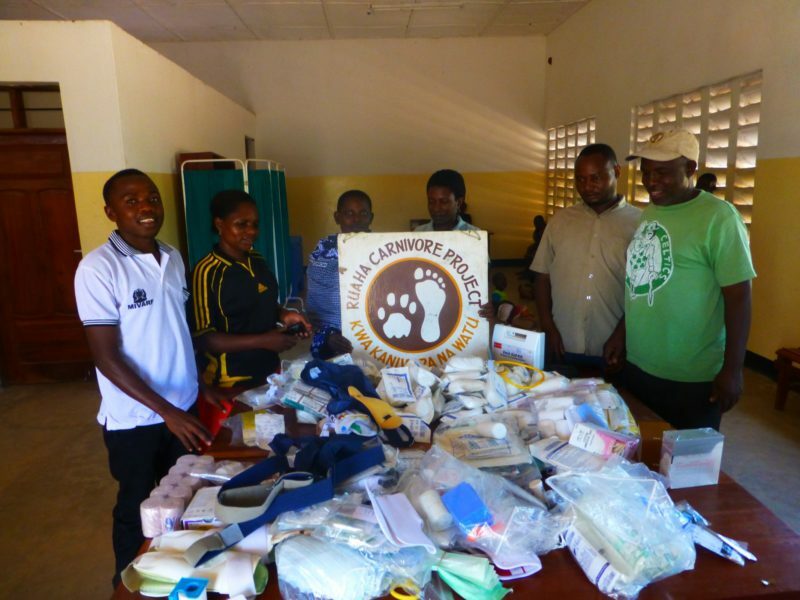 Therefore, the Ruaha Carnivore Project has worked with partners such as the Rotary Club, Medwish and Cleveland Metroparks Zoo in order to help equip local clinics with basic materials. 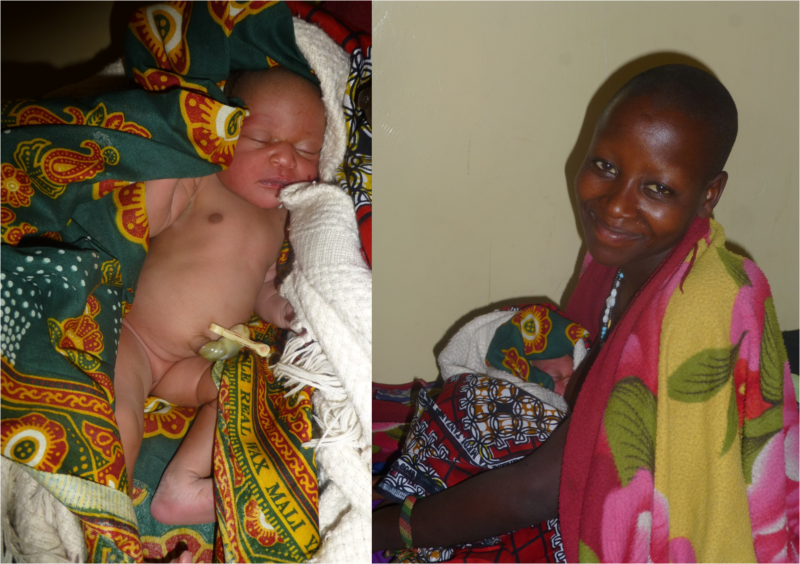 These included critically-needed medicines, bandages, splints and burn dressings, delivery kits to help women give birth safely, forceps and other simple equipment, and equipment such as beds, lamps and screens. This has made a huge difference to the local clinics, and has had a particularly positive impact on women, as simple items such as sterile umbilical clips mean that there is less risk of infection to newborn babies, and more chance of them returning home with a healthy child. In partnership with village leaders and local medical authorities, we have expanded the provision of healthcare supplies through our community camera-trapping programme, where villages which maintain more wildlife receive additional community benefits. A third of these benefits are healthcare supplies, with each village deciding what their key priorities are. This work has already substantially improved the local situation in terms of basic healthcare supplies, but this is a huge area of need and there is much more that we want to do. One of the most pressing issues is just getting people in need to a local clinic – there is an ambulance car in one village, but it is often broken and cannot access many remote households. 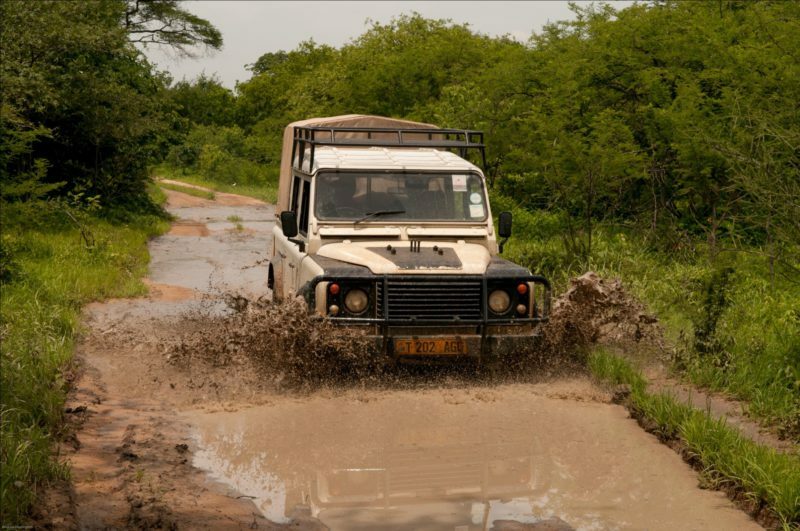 We often end up acting as an informal ambulance service, and have carried many injured people, as well as had several births in the back of our 4×4 vehicles! We have now built a garage at camp and have agreed to help service the local ambulance, to try to keep it running as much as possible. We are also looking into purchasing some eRanger motorbike ambulances, which have been specifically designed for remote African landscapes. Providing a motorbike ambulance and paying two drivers (so they can cover both day and night) would cost around US$10,000 for a year but is likely to save many lives in this extremely under-resourced area, and people would recognise it as an extremely important benefit from wildlife presence. We are also looking into twinning local clinics with developed-world healthcare centres (whether clinics, hospitals or groups of medical staff), in order to help improve local capacity and training.